These quotes are taken from “The Conferences of St. Vincent de Paul to the Sisters of Charity,” translated from the French by Joseph Leonard. Newman Press, 1952. 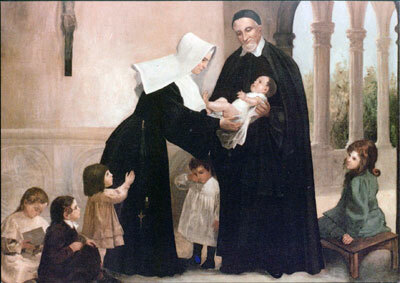 They are prayers that St. Vincent de Paul said at the end of His Conferences with the Daughters of Charity in their Motherhouse, beginning in 1634.